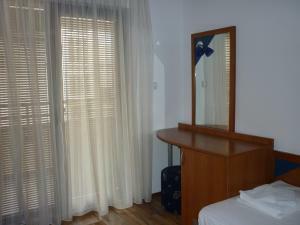 Click on the photo and see all the photos of Apartment Georgieva. Located in Sandanski, within 500 metres of Episcopal Basilica Sandanski, Apartment Georgieva offers accommodation with air conditioning. Situated 2 km from Statue of Spartacus, the property offers a terrace. The apartment has 2 bedrooms, a flat-screen TV with cable channels and a fully equipped kitchenette that provides guests with an oven, a fridge, a washing machine and a stovetop. Bus Station Sandanski is 600 metres from the apartment. Please inform Apartment Georgieva in advance of your expected arrival time. You can use the Special Requests box when booking, or contact the property directly with the contact details provided in your confirmation.